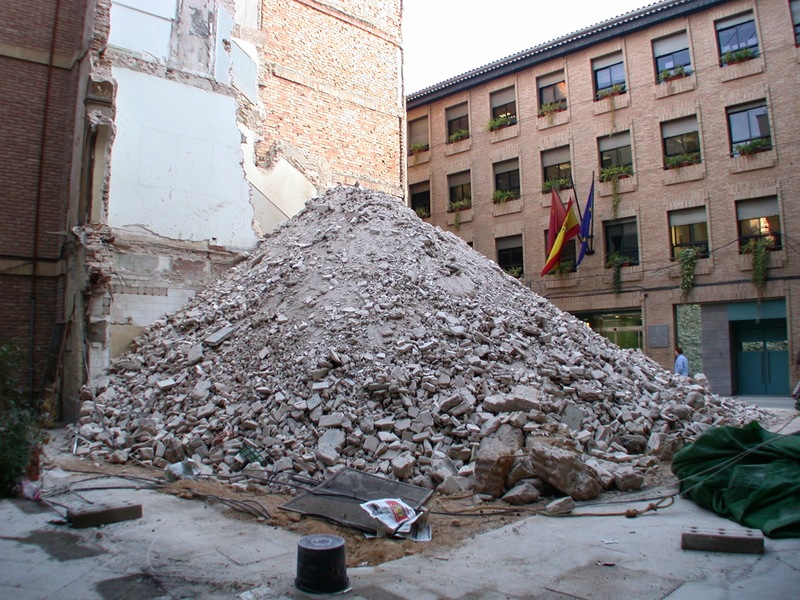 The year-long exhibition project DOMINÓ CANÍBAL will use a single venue, the 18th century convent church Sala Verónicas, over a period of twelve months. Starting with the sculptor, essayist and poet Jimmie Durham, each successive artist [Cristina Lucas (March 26th), The Bruce High Quality Foundation (May 21st – see images of their 'temporary office' for Latitudes' participation in 'No Soul for Sale'), Kendell Geers (July 9th), Tania Bruguera (September 24th), Rivane Neuenschwander (November 12th) and Francis Alÿs (December 17th)] will create his/her work based on what was created by the preceding artist, either destroying it, appropriating or reinterpreting it. 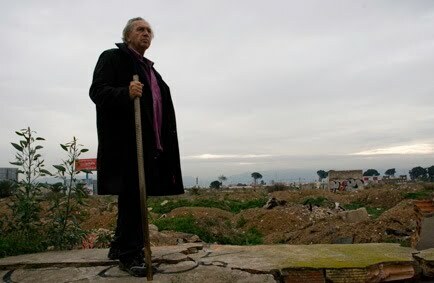 Jimmie Durham's exhibition will open on Monday 25th January, and will be preceded by a conversation between him and Cuauhtémoc Medina, curator of 'Dominó Caníbal', on Friday 22 January, 6pm at CENDEAC. Below images of the artist during his recent site visits to Murcia and surroundings. 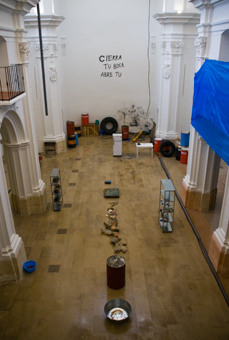 The ongoing creative process taking place in Sala Verónicas will be filmed in real time and on view at the PAC MURCIA website (www.pacmurcia.es). As with the previous PAC in 2008 (see Latitudes' posts here and here) a series of activities are running parallel to PAC 2010: a seminar organised in collaboration with CENDEAC (Centro de Documentación y Estudios Avanzados de Arte Contemporáneo), a programme of exhibitions in art galleries in the region and series residences for artists from Murcia in Europe and America. Rivane Neuenschwander (November 12th) and Francis Alÿs (December 17th). Production: PAC Murcia is an initiative of the Department of Education and Culture of the Región de Murcia through its Directorate General of Fine Art and Cultural Goods. Images: Graphic identity of 'Dominó Caníbal', portraits of Jimmie Durham during his site visits to Murcia and surroundings and interior of Sala Verónicas (Photos: La Lobera). Courtesy PAC Murcia 2010. LARA ALMARCEGUI, BERND & HILLA BECHER, BLEDA Y ROSA, JUAN CRUZ, VERNE DAWSON, MARK DION, JIMMIE DURHAM, CYPRIEN GAILLARD, ILANA HALPERIN, JOACHIM KOESTER, MARK LOMBARDI, ALLAN McCOLLUM, PAUL NOBLE, PAULINA OLOWSKA, DIEGO PERRONE, ABRAHAM POINCHEVAL & LAURENT TIXADOR, MARJETICA POTRC, GREGOR SCHNEIDER, EVE SUSSMAN & THE RUFUS CORPORATION and KEITH TYSON. 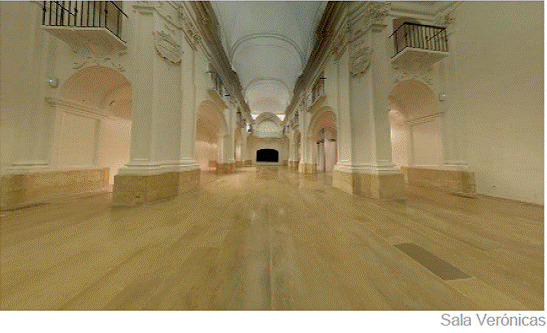 Centro Párraga, Espacio AV, MAM (Museo Arqueológico de Murcia), MUBAM (Museo de Bellas Artes de Murcia), Museo de Santa Clara, Sala San Esteban, Sala Verónicas, Cendeac, Filmoteca and three other public spaces in the city. 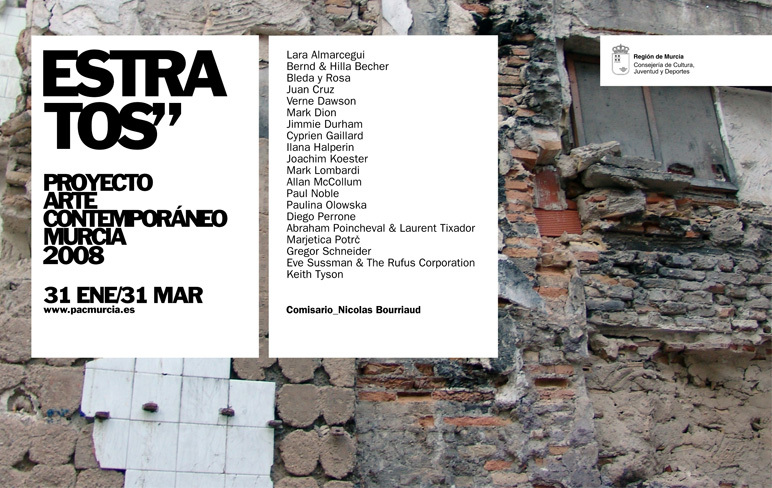 The first Contemporary Art Project (PAC in Spanish) wants to make itself distinctive from the circuit of international biennials and art festivals by promoting a series of seminars for the duration of the project ('Heterocronías, Temporalitites in contemporary art practices' with guests including Pamela M. Lee, Peter Osborne, Manuel Cruz, Gary Shapiro and José Luis Villacañas), a film season in the regional filmoteca, and by offering six 3-month residency grants to Murcian artist to go to GlogauAIR, Berlin; Gasworks, London and Duende, Rotterdam; on top of the usual guided tours organised for this kind of events. From the following archive you'll be able to download the text file 'ALMARCEGUI_Estratos.pdf', an essay written by Mariana Cánepa Luna on Almarcegui's contribution (and published in 'Estratos' catalogue).